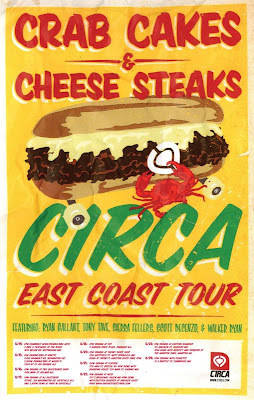 The ‘Crab Crakes and Cheese Steaks Tour’ will be hitting the eastern seaboard. Ryan Gallant, Sierra Fellers, Tony Tave, Scott Decenzo and Walker Ryan will be hitting spots beginning in Baltimore and heading through Delaware, New Jersey, Massachussets and New Hampshire. Check below for tour dates.